Welcome to a local law firm that offers a nationally-backed suite of personal and commercial legal services. We have branches in Penarth, Cardiff and Barry, meaning you never have to travel far to obtain professional advice and tailored solutions for your legal issues. 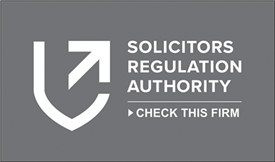 As part of the national QualitySolicitors network, you can be confident that you are receiving a quality service with the best legal know-how. We work hard to earn your trust by ensuring you remain informed throughout the process, are always in control of your case, and that you know your legal rights and the options available to you. Our tried and tested approach of having an in-depth knowledge of the legal issues at hand, providing direct lawyer contact and knowing the specific needs of the community we are serving ensures that we have happy clients who return to us time and again for their different law needs. We take great pride in the fact that many of or clients come back to us time and time again. We have a friendly and approachable team that speak plain English and make any technical process as smooth as possible. We offer a same-day call-back service for all enquiries made before 3pm Monday to Friday. We never like to keep you waiting and will always give you honest advice. Our wealth of experience in providing professional legal services for our clients is evident in the accreditations afforded to us by the Law Society and our member bodies. We offer a range of services for individuals whether you are experiencing divorce and separation; you are buying or selling property; you are looking for a litigation solicitor; or you are writing a Will, appointing a Power of Attorney or you are going through the Probate process. We also offer specialised legal advice in equine law for anyone who owns, trains, races or breeds horses. What ever your legal needs, our team take the time to understand your needs and work to find a solution. Getting the right legal advice can be critical to the ongoing success of a business. We know you want to deal with professionals who not only know the law, but go the extra mile to understand the industry and any day-to-day or long-term business challenges. At QualitySolicitors J A Hughes, we combine our legal expertise with our experience and business acumen to deliver a service that meets even the toughest requirements. We can help with a range of situations, including commercial conveyancing; buying and selling a business; legal support if you are dealing with a disgruntled employee; practical advice to solve disputes through mediation or litigation; help to manage bankruptcy or professional debt management advice; or ongoing business advice to help your business thrive. We offer cost-effective solutions and work to your deadlines.